Tim and Tom are back from Thanksgiving vacation and they ate so much food; they now think they need to clean up their lifestyle habits. Who better to help educate them on how to do that than a Clean Living Educator? So, they call up Clean Living Educator Christine Heggestad of LivingCleanWithChristine.com to talk about healthy eating and lifestyle choices that can help all of our lives be a little more clean. The Tutts Experience Podcast from Ciaran Tuttiett - Episode 48! This is a personal journal podcast, where Ciaran shares his interests with you. The Eurovision Song Contest and Professional Wrestling. Also, he talks about the latest news headlines too. What's going on With These guys? SAT 122 - NOT AGAIN! UGH! The dreaded technical difficulties have shown back up and caused some audio glitches. Our lovely IT department decided to move CPUs around in the studios for some unknown reason and apparently we were lucky enough to get the one that likes to screw everything up. Segments start out fine and then get a little crispy. Hopefully it won't be too horrible and you can still enjoy this great episode of the show. Hopefully we can have this resolved next week. This week, your hosts Iain (@livinglegend148) and Kai (@haitchwir), are joined by Ciaran Tuttiett aka Kiwi Tutts (@kiwitutts). We have a respons to Kai’s previous top ten children’s TV programmes, Kai gives us the top ten songs from the year he was born and Ciaran shares his top ten Eurovision songs. One Hour One Topic: How far is too far? Did the WWE go too far when Paige disparaged Reid Flair on RAW? The panel discusses how far is too far, and where can they go from here. Just where does Gina G fit in, not to mention prosthetic breasts?! This week Ant is on his jack and talks about the fantasy standings so far at the 1/4 point in the season. He previews this weeks upcoming games in both English Football and the NFL and generally feels lonely without Wayne. Enjoy. SAT 121 - RONDA ROUSEY LOST! This week T-Mac and Captain Awesome talk a lot about MMA because Ronda Rousey actually lost! They also talk about the upcoming WWE Special Event Survivor Series, and make their picks for the matches. As usual, they also answer listener emails, tell you all the news you need to know and play a fun round of Tweet The Table. Thank you for listening and downloading the Tutts Experience. The debut episode on the DSJNP Network. Ciaran talks basically about the things that is important to him. The Eurovision Song Contest and Professional Wrestling. He loves talking about current affairs as well, so that will defiantly play a part too. You can find previous episodes by just searching for The Tutts Experience on iTunes or any podcast app. This week Tim and Tom talk sports with Cody Tapp of Kansas City's local sports talk radio station 810 WHB. They also cover the week's local positive news stories, and upcoming events, and even discover that they are indeed friends! 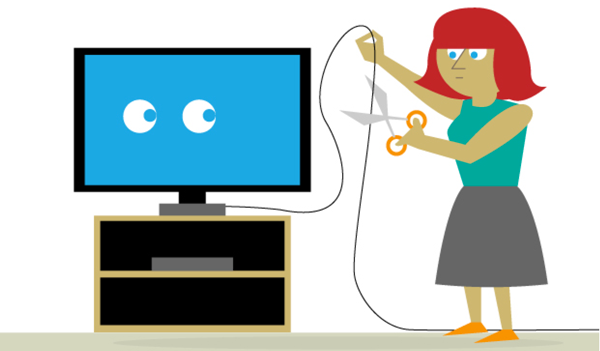 This week Piper the DJ and Mr.Old School continue their discussion on Cord Cutting.